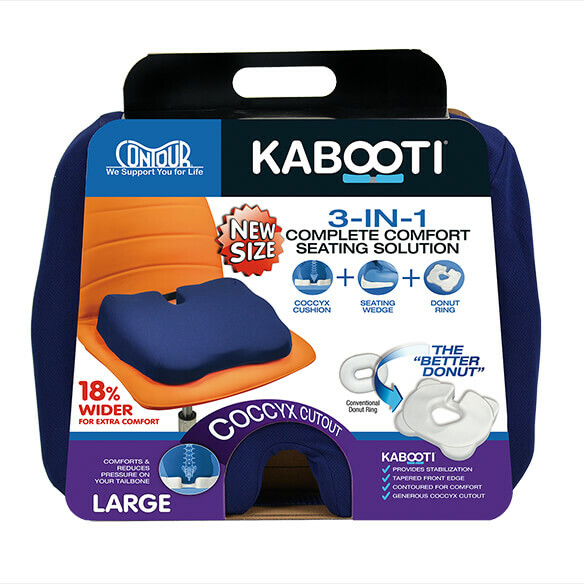 Kabooti Large Coccyx Foam Seat Cushion combines the best of 3 types of support in a roomy, comfortable design. 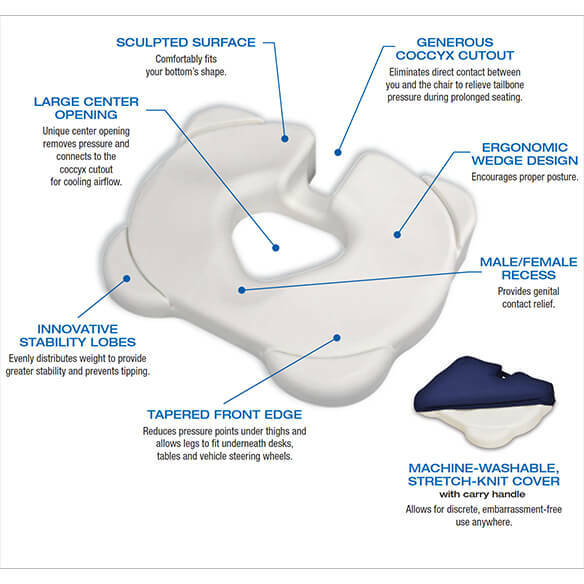 Versatile foam design provides essential support as a donut or coccyx cushion, with a large cutout to relieve pelvic or tailbone pressure and lower back pain. Add the optional for customizable, cooling therapy. Any way you use your Kabooti, it's ideal for relieving hemorrhoids, alleviating perineal discomfort, helping post-surgery healing and more.